How do we value your data? FEDMA takes data protection and privacy very seriously. The objectives of FEDMA’s processing of data is to process the personal data, essentially professional personal data, in an ancillary manner to support our core activity which is to inform, educate, promote and protect the direct marketing industry. FEDMA is the controller. 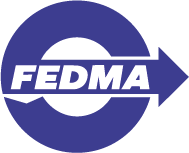 If you have any requests concerning your personal data or any queries with regard to how we handle your data, you can contact us by email data@fedma.org or write to us at FEDMA avenue des Arts 43, 1040 Brussels Belgium. Which categories of personal data does FEDMA collect? Opinions of political representatives (for example MEPs). For what main purposes do we process your personal data? Offer membership benefits to members. Running the organisation Managing day to day life of the association, respecting legal requirements. Presentation of FEDMA Board Legal requirement. Who are the recipients/categories of recipients of the data FEDMA collects? The majority of the personal data is processed by FEDMA staff and shared on a need to know basis with Board, relevant members (for example our national member when helping to organise a local DMA event), accountant. FEDMA shares the necessary data with the EU institutions to ensure its activities. Some data regarding the functioning of FEDMA association will be send to the moniteur Belge and EU institutions. Human ressources data is shared with the necessary suppliers and intermediaries of HR services for example to ensure payment of salary and benefits. This includes the following category of recipients; bank, insurance, ‘bureau social’, intermediary for temporary staff, training and certification organisations. Finally, some personal data regarding our Board members or speakers (generally name, title, employer) at our events is made public on our website. In carrying out our business including our obligations to our members, we may use sub-contractors. These will be the following type of category of recipients; IT, phone, internet, OTT services, software, newsletter, online survey, website and printer suppliers. We will do our best to ensure that they respect your privacy and abide by all data protection laws. FEDMA does not intend to share data with organisations in third countries. However, some of our service providers do for example our conference call, newsletter service providers. They generally transfer the data to the USA on the basis of Privacy Shield or standard contractual clauses. You have rights in respect of your personal data. We will need to confirm your identity before we can consider your request so, if you wish to exercise any of these rights, we will need a copy of ID card or passport. Right of access – you have the right to know whether we are processing your personal data, and to a copy of that data. We would need as much information as possible to enable us to locate your data. We will respond to your request within 28 days of receipt of your request. If you want to exercise this right, please contact FEDMA at the contact details above. Right to rectification – you have the right to have any incorrect personal data corrected or completed if it is incomplete. You can make this request verbally or in writing. We will need as much information as possible to enable us to locate your data. We will look at any request and inform you of our decision within 28 days of receiving the request. If you want to exercise this right, please contact FEDMA at the contact details above. Right to erasure – this right, often referred to as the right to be forgotten allows you to ask us to erase personal data where there is no valid reason for us to keep it. We will look at any request and inform you of our decision within 28 days of receiving the request. If you want to exercise this right, please contact FEDMA at the contact details above. Right to restrict processing – you have the right to ask us to restrict processing of your data. We will look at any request and inform you of our decision within 28 days of receiving the request. If you want to exercise this right, please contact FEDMA at the contact details above. Right to data portability – you have the right to move, copy or transfer your personal data from one IT environment to another. This right applies to data that you have provided to us and that we are processing on the legal basis of consent or in the performance of a contract and that processing is by automated means. We will respond to your request within 28 days of receipt of your request. If you want to exercise this right, please contact FEDMA at the contact details above. Rights relating to automated decision making including profiling – you have the right in respect of automated decision making, including profiling. Where we carry out solely automated decision making, including profiling, which has legal or similarly significant effects on you, we can only do this if it is in connection with a contract with you, we have a right under law or you have provided your explicit consent. We will tell you if this happens and tell you how you can request human intervention or challenge the decision. If you want to exercise this right, please contact FEDMA at the contact details above. Where we process your personal data based on your consent you have the right to withdraw that consent at any time without reason. You can opt-out by using the unsubscribe/opt-out in any marketing we send you and you can contact FEDMA at the contact details above. Do I have a right to lodge a complaint to the supervisory authority? FEDMA does not process data automatically which may lead to a legal effect or similarly significant effect. Session Cookies These cookies are only stored on the visitor’s computer for the duration of an Internet session between the visitor and FEDMA. To compare: Session cookies act like bookmarks within a book. Websites typically use session cookies to ensure that you are recognised when you move from page to page within one site and that any information you have entered is remembered. For example, if an e-commerce site did not use session cookies then items placed in a shopping basket would disappear by the time you reach the checkout. The cookies are deleted from the visitor’s hard disk at the end of the browser session. However, these data do not allow any conclusions to be drawn about your person. This data is not merged with other data sources. Social Media Buttons Twitter social media buttons to ensure the visibility and use of the Twitter feed on FEDMA website. Via our cookie banner. If you do not accept, you will no longer see the Twitter feed. Via your browser. Please note however that turning off cookies will restrict your use of our website.